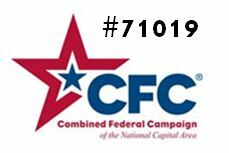 "Ending Veterans Homelessness In 2015?" ""COULD WE HAVE ALL VETERANS IN A HOUSE by end of 2015? Yes," said Mary Keeser, a governance board member for the Office to Prevent and End Homelessness, and founder of volunteer organization America's Adopt A Soldier...."
"America's Adopt A Soldier held its second annual Veterans and Community Family Meal, Market and Fun Zone on Saturday, Nov. 15 at Mount Vernon High School. Volunteers came from OCTO Consulting, Lockheed Martin, the student body at MVHS, and throughout the county. The event provided veterans, soldiers, the community and their families with holiday environment to enjoy camaraderie, music, and an early Thanksgiving meal..."
Bettina Lawton, host, explores the current state of veterans in Northern Virginia. Bettina discusses current initiatives to help vets with Mary Keeser, founder of America's Adopt a Soldier and board member of the Office to Prevent and End Homelessness. Please join former major league baseball player Michael Pagliarulo "Pags" as he hosts the Americas Adopt A Soldier 4th Annual fundraising Golf Tournament at Osprey Golf Course July 15. America's Adopt A Soldier, an established nonprofit organization who has through grass roots volunteerism, donations, and partnerships; provided a positive impacted to our Nations Wounded, Deployed Service Members, Homeless Veterans, Veterans and their Families. 100% of all donations go directly to support their projects and programs. Mary Keeser, President of KEMSS selected as one of the finalists of the 13th Annual Heroines in Technology Awards, benefiting the March of Dimes. Nominations for were based on outstanding achievements in the community, demonstrated consistent use of experience, knowledge and skills to benefit our community. The tradition of honoring Lords and Ladies Fairfax began in 1984 as a way to recognize exceptional citizens. Each year, the Fairfax County Board of Supervisors selects two people from each district who have demonstrated superior volunteer service, heroism or other special accomplishments. Twenty men and women were bestowed with the titles of Lord and Lady Fairfax earlier this month. "The chapter's Minuteman Alert of an appeal from a Veterans Administration Supportive Housing manager’s request for a bicycle to meet his transportation needs of a new VASH veteran was quickly and successfully fulfilled." 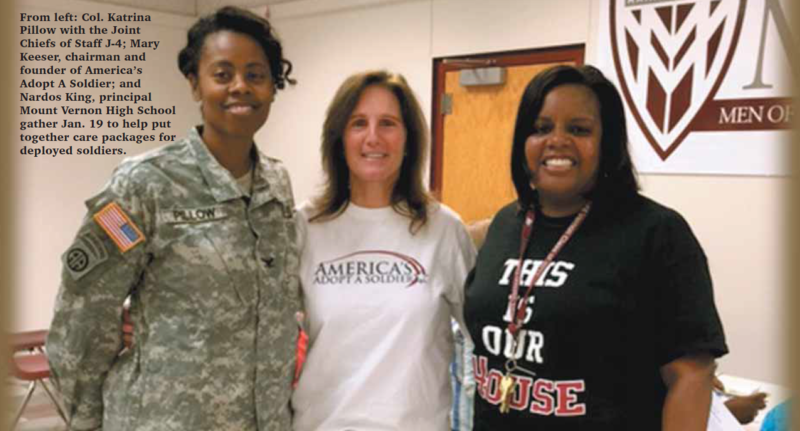 "On January 4, 2014 America’s Adopt a Solider had a packing event at Ravensworth Elementary School. At the event we packed 300 care packages to send to the troops overseas. All of the donated supplies that had expired or that would expire in the next two months were given to local shelters." "Families helped build boxes, pack boxes, seal boxes, fill out customs forms, and take boxes to the truck. There were lots of boxes packed and we used up all of the supplies!!" "For more than a decade Alexandria resident and Realtor Linda Wolf has been collecting toys for hospitalized children in the Washington D.C.- metropolitan area. An independent volunteer and toy collection organizer at National Children's Medical Center for 11 years, she moved her efforts over to Walter Reed National Military Medical Center (WRNMMC) with a program she starte', "Task Force Smile," under the non-profit America's Adopt a Soldier." "The annual America’s Adopt A Soldier packing event was splendid and fun! It was organized by Chantilly High School’s National Honor Society. The event was on Saturday, April 14, 2013." "Everybody had a great time making cards or packing boxes for troops overseas. Fairfax County Board of Supervisors Chairman Sharon Bulova and Chief of Staff Gary Nisker from the US Army were there to talk about making a difference and giving back in the community." Military Care Package Event Held at Chantilly High School on March 24, 2012 put on by the National Honor Society with America's Adopt A Soldier. What a great day!! Partnering with Caring Kids Cards: an organization that makes cards year round. These cards are sent off to the military in London, Germany, Bangkok, Moscow, Korea, and the Middle East, including Afghanistan and Iraq. It's a fun way to help people and anyone can do it! There are many ways to help in our community. Chantilly High School National Honor Society is helping America's Adopt A Soldier with a project to help the servicemen and women overseas. I learned about this from Mrs. Wanda who works at Chantilly High School. She said, "It's for a good cause, it's to give back, it's a good way to say thank you." Ariana is the President of the Chantilly High School National Honor Society. She said, "These packages are important to me because I believe everyone should strive to make a difference in the community. I come from a military family, so I have seen the true dedication and sacrifice soldiers do for us. I believe this drive can help people remember that there are men and women out there fighting and risking their lives for us in order to be given the opportunity for freedom; sending packages is the least we can do for such a priceless service. A commitment to making a difference in the lives of Veterans, Soldiers and their Families is the core of the America’s Adopt a Soldier program. Twenty-five organizations stood up to be part of the Community Support Exhibit Hall at the 2011 Army Wounded Warrior Program (AW2) Symposium, and more wanted to attend. Over 200 volunteers filled Lake Braddock Secondary School on Saturday to put together care packages for America's deployed troops. Nashville Recording Artist Brittini Black Goes to Washington DC and Reaches the Heart of our Youth and our Wounded Warriors! Brittini Black reaches the heart of our youth with a performance of “Life Is Good” from her debut record Good Happens at the National Guard Youth Challenge Gala (an organization that gives high-risk teens a second chance with a military based rehabilitation and learning program). Packed with Care: Volunteers prepare packages for troops deployed overseas. On Saturday, Jan. 9, volunteers gathered at Little River Senior Center in Fairfax to pack 100 care packages for U.S. troops stationed overseas. The Military Order of the Purple Heart (MOPH) is proud to announce its partnership with "America's Adopt a Soldier®," an organization founded in 2009 by Mary Keeser, a retired U.S. Army Officer and Life Member of the MOPH Ladies Auxiliary. The Military Order of the Purple Heart (MOPH) is proud to announce its partnership with "America's Adopt a Soldier®," an organization founded in 2009 by Mary Keeser, a retired U.S. Army Officer and Life Member of the MOPH Ladies Auxiliary. 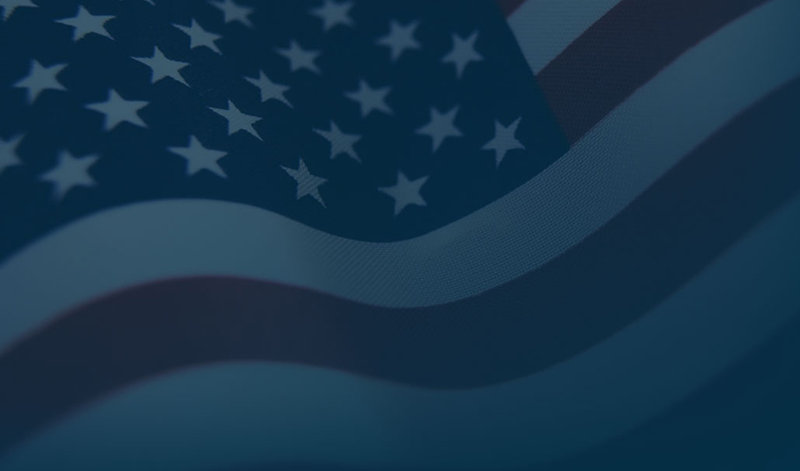 By combining the resources of several ongoing support activities into one formal program, Mary has positioned "America's Adopt a Soldier®" to better serve and respond to the needs of our Veterans, soldiers and their families. James Lee Community Center, 2855-A Annandale Road, Falls Church, VA., is sponsoring their 6th Annual Packing Day to gather and pack donated items as care packages that are then sent to Service members in Iraq and Afghanistan. Our troops need support from us at home. Join other volunteers in meeting the goal of packing and shipping 600 boxes on Saturday, October 24, 2009 from 10 a.m. to 12:30 p.m. This project is being conducted in conjunction with the James Lee Community Center, Providence District Supervisor’s Office, and America's Adopt a Soldier® program.